Beautiful executive home in Cardinal Club Estates. Home of the Louisville CardinalsGolf course and Country Club. 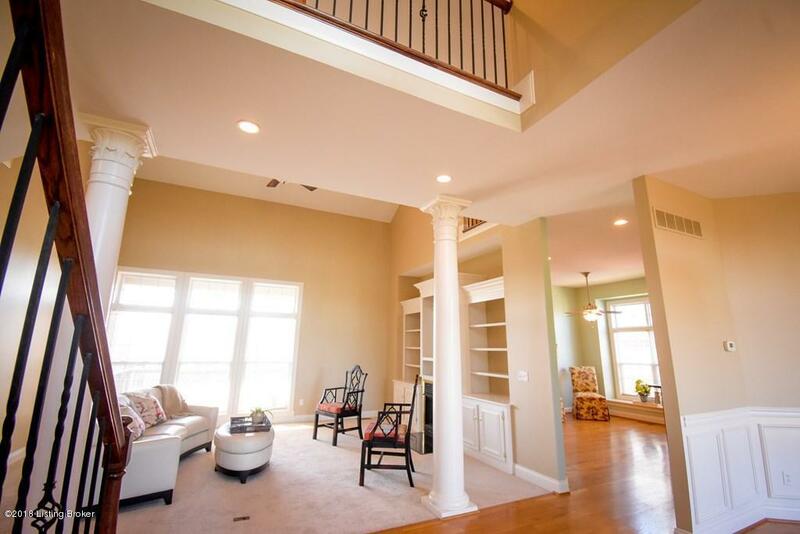 This 1 and half story home located in Simpsonville,Kentucky and just 25 minutes to downtown Louisville. The main level features a formaldining room, living room, eat-in kitchen, media room, deck and a master suite withmaster bath including his and her vanities, and 1st floor laundry. All new carpet hasbeen replaced on the main level along with a new tile shower in the master bath and newtile floor in the laundry. The unfinished basement with tall ceiling.ceilings leaves plenty of room for storage and/or areas to be finished to your perfection.The kitchen boasts an abundance of cabinets, recently refinished Corian counter tops, open bar seating along with hardwood flooring. Conveniently located off the kitchen is the large laundry room with new updated tile flooring. The media room/bonus room is an additional hidden room off the kitchen and has a built in for a large big screen T.V. (best kept secret in the house!) 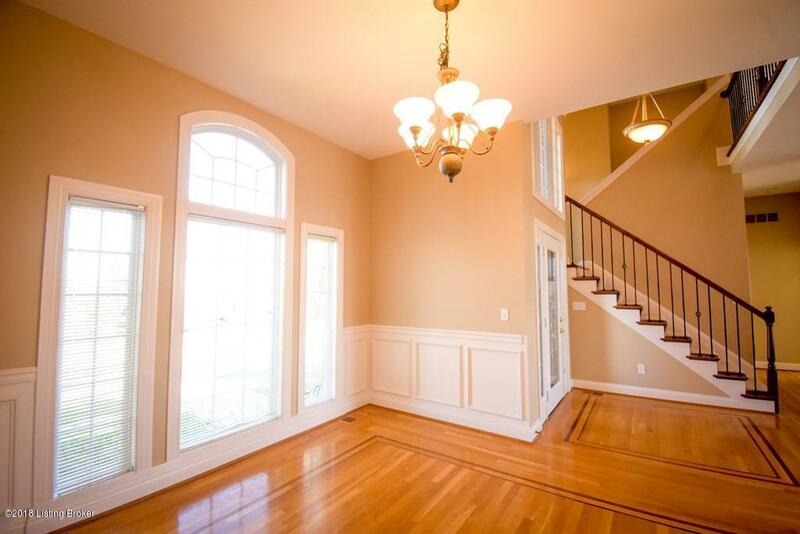 The Formal Dining Room features gorgeous crown molding, wainscoting and beautiful hardwood flooring. The living room includes a gas log fireplace with built in cabinets, open ceiling and new plush carpet. The large Master Suite has a beautiful trey ceiling, window seating, new plush carpet, large his and her walk in closet leading into the Master bath with a large whirlpool tub, his and her vanities and a new tile shower. 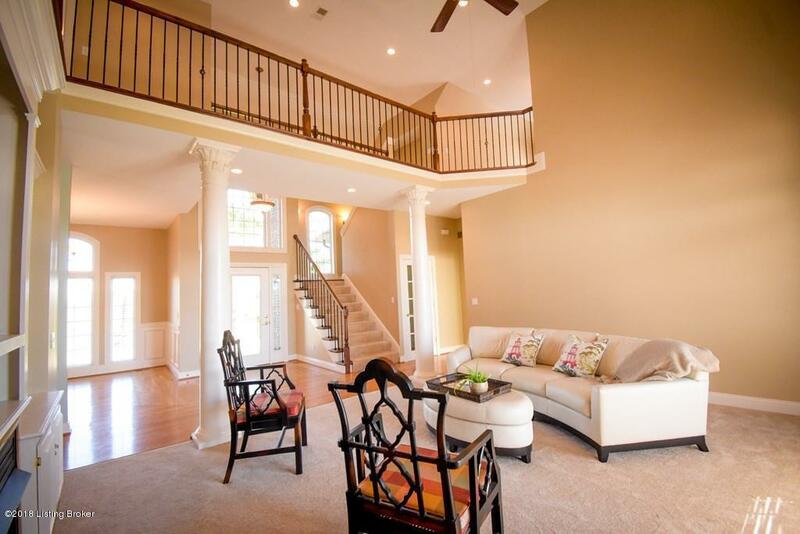 The upstairs has 3 additional bedrooms, a full bath, loft/sitting room and a cat walk that overlooks the lower level. This home has plenty of room to spread out and with so many updates you will want to move right in! Seller is providing an H S A home warranty. Call today for a showing.